Milling machines are, barring perhaps the lathe, the most widely used varieties of machine tools—and why shouldn't they be? Spanning from 5-axes to machining centers to Bullards, there's probably a milling machine for any job you want to accomplish, and dozens of manufacturers making them. Although, with all this variety it can often be difficult to zero in on the right machine for you. 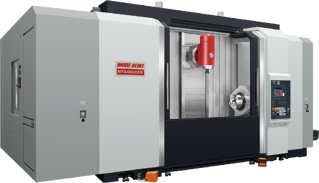 So to make your life a little bit easier, here are the top 4 brands of CNC milling machines. You can never go wrong with a Mazak. With a legacy stretching back almost a hundred years, and use in industries from aerospace to agriculture, Mazak is one of the leading manufacturers of every type of machine they produce, including a large variety of CNC Milling Machines, their 5-Axis machines being particularly noteworthy. The company is also known for creating world class multi-tasking machines, which can handle turning, milling, boring, and more, all in one machine. Obviously, though, such a machine isn't cheap, and nor are any of their machines. While buying a used Mazak will save you some, their price point can still be a turnoff for new or thrifty machinists. Still, if you've got the budget, a Mazak milling machine will always deliver. Another Japanese manufacturer and 5-axis specialist, DMG Mori, often known by its former name Mori Seiki, is a brand with a global presence. With locations in six continents, a 24/7 service hotline, and warehouses full of replacement parts, they are one of the best companies to work with in the machining world. But don't think their good name rests entirely on customer service; they also manufacture some of the finest CNC mills in the world. 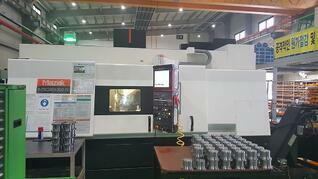 Their CMX series in particular is known for mixing precision with ease of use. For the machinist on a budget their guaranteed 24 hour delivery on all spare parts makes a used Mori Seiki is a particularly good investment. The only American company on the list, Haas has only been around since the 80s, but in that time they've made quite a splash. Aside from doing all of its production and manufacturing in the US, Haas is notable for its spread across all levels of machining expertise. For upstarts Haas offers relatively affordable prices, as well as comprehensive tutorials on every aspect of operating their mills. For the more seasoned shop owner, they offer quality that can easily rival their Korean and Japanese counterparts (especially in their exemplary VMC's), as well as an array of machine tool accessories. 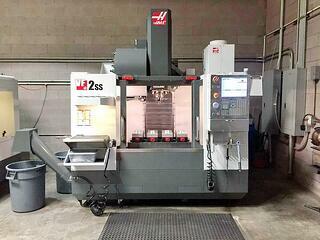 Haas machining centers are probably the most "one size fits all" CNC milling machines. Boasting over a century of experience and the largest distribution network in America, it’s safe to say that Okuma is one of the biggest players in the machinery industry. Notably, the company is the industry’s only single-source provider, with the CNC machine, drive, motors, encoders, spindle and CNC control all manufactured in house. They didn't get that big for nothing; Okuma has always been an innovator, staying right on the cutting edge of whatever tech they develop, including their CNC milling machines. For one example, they recently unveiled the Okuma app store, which functions similar to the type of store you'd find on a smartphone, only with on applications for CNC machines. 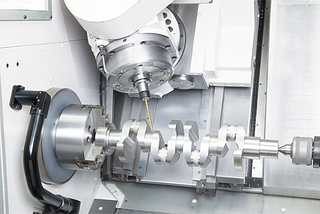 If you need to be right on the bleeding edge of machine tool tech, an Okuma is the way to go. There are of course dozens of other manufacturers producing fine CNC milling machines, and you should always do research into the individual model you're purchasing before sealing the deal. If you want the best bang for your buck, you can't go wrong with any of these brands.